When deciding on a BIM tool for your company, you might want to check out a report by Wise Guy Reports that ranks BIM software vendors. 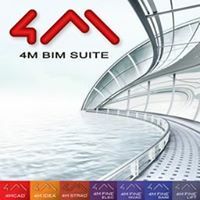 ITC member, 4M S.A., and its BIM offerings rank high in the report. FineGREEN by 4M is a new energy simulation environment based on the EnergyPlus (e+) engine, the power of BIM, and the IntelliCAD engine. FineGREEN embeds the latest version of EnergyPlus to provide the best energy-efficient building design solutions and embeds the IntelliCAD engine to provide the best in CAD.